Now that the Ultimate Fighter season 18 has been wrapped up and two new champions crowned, the next series for the show will debut soon pitting Team Canada vs. Team Australia in a new international season beginning on January 15, 2014 on FOX Sports 1. The show will feature middleweights and welterweights from Canada and Australia as they square off with the two winners scoring a six-figure UFC contract. Team Canada will be coached by former middleweight contender turned welterweight Patrick Cote, who enters his new assignment on a two-fight win streak with one of those victories coming in his new weight class of 170 pounds. On the other side of the coaching assignment will be former Ultimate Fighter competitor Kyle Noke, who leads his Australian team after being one of the first athletes to find success in MMA coming from the land down under. The Australian fighters had to leave the warm shores of their home country to move to Canada for the better part of six weeks to train and get ready to face the Canadian team in competition. The UFC will unveil the teams and cast members for both Team Canada and Team Australia on Thursday, December 5 at 5pm ET/2pm PT (Dec 6 in Australia). The announcement comes just 24 hours before the UFC’s return to Australia happens with a UFC Fight Night event airing on FOX Sports 1 pitting heavyweights Mark Hunt and Antonio ‘Bigfoot’ Silva against each other in the main event. 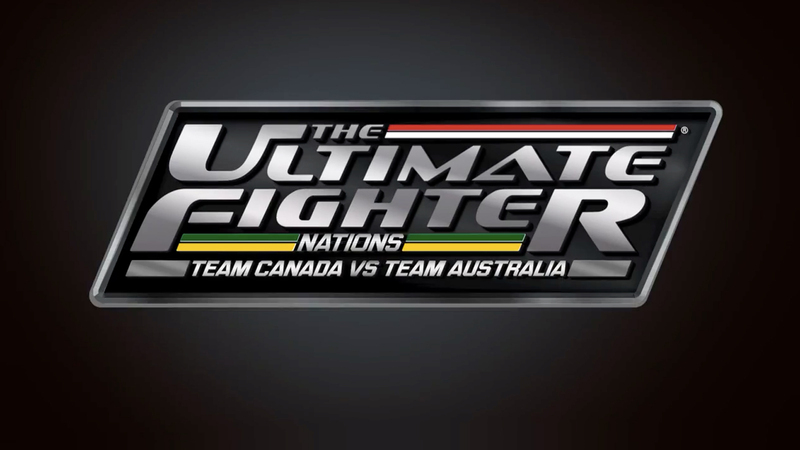 Following the announcement of the teams, the series will then go into full swing on Jan 15 starting at 10pm ET with The Ultimate Fighter Nations: Canada vs. Australia making its debut. The show will air on Wednesday nights on FOX Sports 1 for 13 consecutive weeks leading to a finale with the show’s winners in the middleweight and welterweight divisions being crowned. Further details about the upcoming finale will be available in the coming weeks. Coaches Patrick Cote and Kyle Noke will also battle it out in a welterweight bout pitting Canada against Australia once again as part of the live fight card. The Ultimate Fighter Nations: Team Canada vs. Team Australia will air via Fox Sports 1 in the United States, Sportsnet 360 and TVA in Canada and FX Australia in Australia. Other networks carrying the series will be announced soon prior to the debut on Wednesday, January 15.